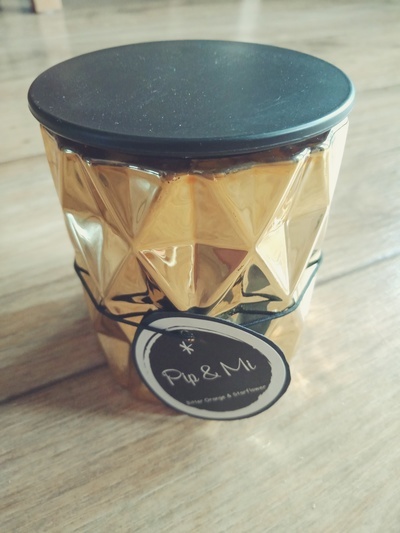 Pip & Mi have a large range of fragrances. The Bitter Orange and Starflower is pleasant without being overpowering. The candle is hand poured soy wax. The mini size doesn't burn for as long, but is more affordable if you want to try different fragrances. I thought the metallic container was cute. They also come in other colours like rose gold. These would make a nice gift.